Skin cancer is becoming a hot topic issue in America right now. According to an article from CNN I read today, it said from the American Cancer Society, “skin cancer is on the rise, with more cases diagnosed annually than breast, lung and colon cancer cases combined.” That’s a shocking statistic to me! 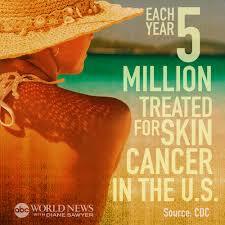 Nearly 5 million people are treated for skin cancer annually in America. With the help of Surgeon General Dr. Boris Lushniak, Congress is taking steps to make sure skin cancer becomes a priority for all Americans. 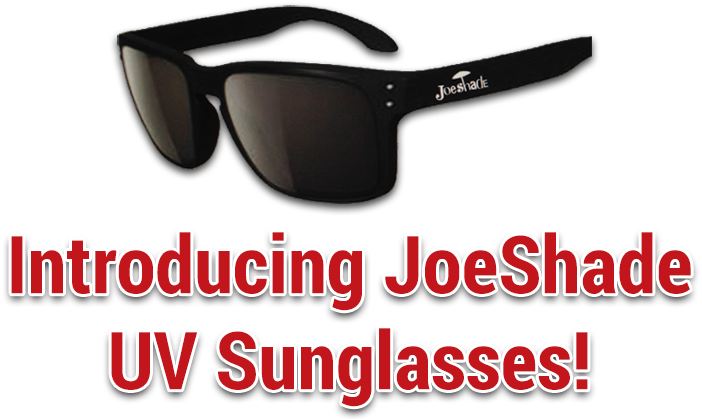 This is the first time the Surgeon General of the United States has stated anything about the dangers of UV radiation! Did you know the U.S. Surgeon General is actually a dermatologist? So he really knows what he’s talking about! And, it’s no surprise that he is taking steps to make sure skin cancer is something we’re all informed about! He said it’s important for parents to teach their children about sun safety just as they teach about the benefits of dental health and better eating choices. I personally did not know about the dangers of UVA sun rays and how it can cause skin cancer until I researched information online about it. Sun safety is something that’s not stressed enough in middle and high school health classes. In fact, I think people find it a burden to put on sunscreen whenever they’re outside, but it must be known how dangerous it is not to wear sunscreen with a good level SPF. The consequences are far too dangerous! After the Surgeon General made these statements, the House of Representatives of Congress passed the Sunscreen Innovation Act. The bill establishes a review process for all manufacturers submitting a new sunscreen to the Food and Drug Administration (FDA). The approval process to get a final decision from the FDA is a year to a year and a half. This new law is a big deal because normally the review process takes many years for approval to sell to the US marketplace. The new law will now help sunscreen companies get their products (when ingredients are approved) out to the public quicker and help educate consumers to use sunscreen daily. In addition, the U.S. Department of Health and Human Services has set goals for communities to decrease the risk of skin cancer; by providing shade at parks, schools and other public spaces, and reducing indoor tanning — the big one! I recommend whenever you ‘re outside to wear sunscreen with an SPF of at least 15 or higher, a hat, sunglasses and have a portable umbrella along for shade! The best thing about a portable umbrella with tripod stand, is that is serves as a UV protection umbrella too! What do you think of the Congressional bill? We’d love to hear your thoughts.